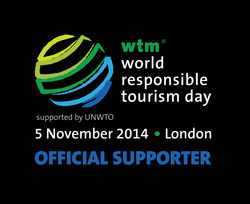 Travel Inn Tours & Travel is firmly committed to preserving our fragile environment. All tours follow a strict eco-code that involves everyone, starting from the office, to our clients, the adventure staff on field and the local community. When developing and manufacturing our products we are always looking for more environmentally friendly alternatives. WE PLEDGE TO ...be a partner in conducting responsible and sustainable tourism with minimal impact on the physical, cultural and social environment of the area. Moving towards the task outlined in the above pledge we have to conserve and protect our environment on all fronts. In the following pages we have endeavored to extensively outline industry specific guidelines. These measures have to be adopted sooner or later by the tourism industry in a positive and pro active collaboration with the Indian Government. Why conserve ? We all want to survive. To do that we all depend on the earth's resources for our basic needs. If resources are no longer available, then we are not only threatening our own existence but also that of future generations and the wildlife with which we share this planet. Unfortunately humans have not been looking after the earth's resources carefully enough; instead we have been using them without consideration for the environment or future needs. We are in danger of destroying the natural systems that are providing those significant resources. The time has come when we have got to look at changes in lifestyles because, not only are we gambling with our own survival, but also that of all the other' species on earth. How can we conserve ? This can only be achieved by living sustainable. Sustainability is a key word for the 1990s and for many people this will mean a significant change in both attitude and actions. Everyone must understand the effects that their activities are having on other individuals, other communities, other nations, future generations and other species. The internationally recognized text, Caring for the Earth states that "sustainability is an ethic based on care for each other and the Earth." Development should not be at the expense of other communities or later generations, nor threaten the survival of other species. The benefits and costs of resource use and environmental conservation should be shared among people who are poor and those who are rich, and between our generation and those who will come after us. TREAD SOFTLY The Indian Outdoors are a fragile environment. They are also becoming increasingly popular with people who are learning to appreciate the natural values and the recreation opportunities available. The increasing numbers of visitors is having an effect on the area’s natural and cultural heritage. Mushrooming construction, expanding campsites, bacteria in creeks and rivers, erosion, deterioration of walking tracks(some are even being turned in to motor able roads) and the destruction of local architecture, giving way to ugly, modern structures, have all become more common in recent years. Fortunately some visitors and companies have adopted the ethic of minimal impact recreation. We can minimize the damage to the natural environment by learning to tread softly and this reduces the need to place restrictions on visitors. Without it we run the very real danger of "loving our natural areas to death". By learning to tread softly, we can minimize the damage to the natural environment. Reduce the need for track and campsite closures, or even worse have them turn into built up resorts, and tarred roads. GUARDIANS OF KASHMIR We take seriously our role as 'guardians of the Kashmir' so whilst contributing to the development of mountain adventure in Kashmir we are committed to protecting the environment that we work in and act as responsible tourism leaders. We ensure that all our treks cause minimal environmental impact, that we act respectfully towards the local culture and wherever possible make sure the local community shares the benefits of trekking and tourism. Don't waste and pollute the water. Try to avoid plastic bottles and plastic bags it already bans in Kashmir. Buy local products for snacks like Kulcha, Kashmiri Nan, Kashmir biscuits. CLEAN WATER- We all know we can't drink the water in developing countries because it might make us sick from any number of microscopic critters which could cause diarrhea, abdominal cramps or worse. Most people buy bottled water which has huge environmental impacts as well as being expensive and possibly unhealthy. What to do? Travel prepared to clean your own water or use water in containers provided by hotels and operators if they have it. WHY? IT'S EASY: There are many bottles you can choose from. We love Liberty Bottles. There are also many ways to clean your water which fall into three categories: electronic, chemical and mechanical. One Steri-PEN cleans 8,000 bottles of water. One charge of the battery will last for one 10-14 day trip. Use Promo code GRAYL-LOVES-TAP and Grayl will donate 5% to TAP. Reuse bottles at home as well Three corporations dominate the bottled water market in the US. Pepsi has 13% of the market and Coke has 11%, both of which resell treated tap water, by putting it through an energy intensive process called reverse-osmosis. This process takes more energy than turning seawater into drinking water. the river as the water is used for drinking in many villages. Respect the natural environment. Never touch or harass animals. Always follow designated trails. Support conservation by paying entrance fees to parks and protected sites. Take your shoes off before entering a Mosque, Shrine, Temple & Monastery. Refrain from smoking on the premises of Mosque, Shrine, Temple & Monastery. Don't use flash photography inside Mosque, Shrine, Temple & Monastery as the flash tends to damage the color of the Ancient wood carving and paper maiche work inside. We use & encourage natural spring water wherever possible during our trips. Else, we buy it from local vendors. Get the benefits of tourism to the local area and use their services and produce that in-turn supports local business. Not only it generates employment but it also contributes to the overall development of the region. Hire local people for cooking, cleaning & Transport. J&K : An environmental disaster in the making. What can we do right now? ​Carry a hard water bottle on you. The locals drink straight from the tap and so do i. Its clean spring water and very sweet. Also as Indians we are blessed with strong stomachs. 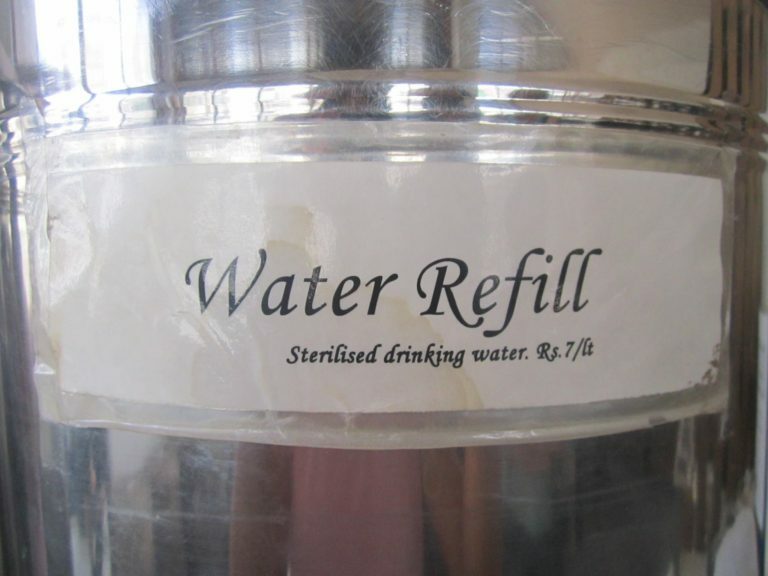 However if yours is the sensitive one, you can refill your bottle from the various refilling water points in Leh. Try not filling from huge mineral water dispensers (as that again is just bottled water) and look for local purified water refill points. Dzomsa (means the meeting point in Ladakhi, popularly known as the water refilling store) introduced me to the sustainable lifestyle thought process. Most of this draft is inspired from his self written Dzomsa manual. You can also drop your used mineral water bottles here. The ones in very good condition are thoroughly washed and dried. These are later put up to be refilled. Cleaned, dried and ready for refilling water bottles. Saving someone from buying new/ creating more waste. This should be your number one reason to pick any hotel/ guest house to live in (unless you have a medical problem and cant squat). Not only you would save clean drinking water to flush your waste and pollute the river but also add to the humaure Ladakhis use to fertilize their fields. Its a common myth that dry pit toilets are messy/ stinky/ dirty: do look at the photo in the album to know more. One cant find dry pits in the city, but when one goes to places like Ladakh, a green opportunity like this shouldn’t be left untapped. When in Kashmir, Leh & Jammu (the main hub) just ditch the car and explore on foot. Everything is closeby and the weather makes it possible to do long walks to the musem, river, lake, Handicraft Market, fort, palace, stupa and more. When looking for a trekking operator, ask what do they do with the non- biodegradable trash? Most operators just leave everything behind or burn it on the campsite, leaving major traces of their previous night’s camping in the shape of wrappers, juice boxes etc. Only the biodegradable stuff (kitchen waste) is supposed to be buried deeply in a pit, a little away from the campsite, everything else has to be carried back to residing destination and binned in the big city bins/ given to the morning or evening garbage truck service. Local organic products i.e made in J&K only, is my most recommended souvenir. It ranges from Pashmina, Sik on Silk Carpets, Papermachie products, Wood Carving, apricots, apricot oil, apricot scrub, dried apple and more. This purchase not only allows us to bring back the real flavour of Ladakh to our home/ friends but also repairs our broken relationship with local farmers. As most of the youth in J&K has chosen not to take to farming, the entire burden of tending to the land (the organic way: which is very demanding) has fallen upon the elderly parents. Every time you buy sustainable locally grown you persuade local farmers to grow more of it and not fall for the government supported chemical fertilizer schemes/ subsidies! A genuine organic shop would sell most of their produce in brown paper bags and not in deep packaging. Polythene carry bags are banned in J&K but you can go the extra mile by saying no even to the cloth bags. When a tourist repacks his bag before leaving J&K, all the multiple cloth carry bags make it to the bin. So carry your day back/ rucksack to shop. 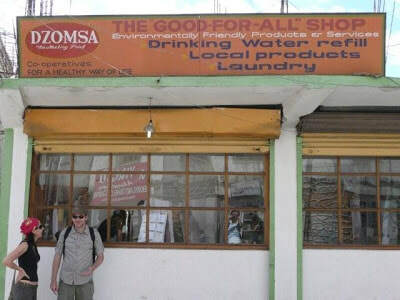 ​Either do your own laundry using a biodegradable soap or find a laundry shop that ensures the water is diverted far away from the river. As the ground water here is non existent or far below where no amount of seepage would reach, diverting water to the land is the best option.